There is a massive cover-up surrounding a recent nuclear disaster in Russia — and on Nov. 21, after months of denial, Vladimir Putin’s administration finally admitted the radiation cloud that has been circling the Earth’s atmosphere originated from within Russia’s borders. Millions of people across Europe have been exposed to the spike of the radioactive isotope Ruthenium-106, which was first detected in France in Sep. and has since been confirmed by experts in dozens of countries across Europe. 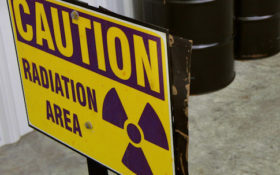 However, scientists used sophisticated climate modeling technology to pinpoint the site where the radiation originated. These experts pointed directly to a site in the South Ural mountains in Russia as the probably location. The site of the radiation spike is conveniently located at what The Guardian calls a “secretive Russian nuclear facility” named Mayak, which was the home of the top secret Russian nuclear bomb program in the late 1940s. On Nov. 21 Russia acknowledged the radiation spike was true, and admitted they’d also detected a 986 times increase in the radioactive isotope near the suspected leak site… but still denied knowing of any nuclear disaster. Sponsored: Leak reveals secret cancer cure for presidents? Critics aren’t convinced, however, and have pointed out Russia’s long history of lying about nuclear disasters (the Chernobyl meltdown being the obvious example). Officials claim the toxic cloud isn’t harmful to the millions of humans exposed to it, yet some remain unconvinced. After all, U.N. nuclear experts have been compared in the past to “two blind men staggering around making decisions,” according to The Washington Post. It’s not often that we agree with The Washington Post. But in this case, they’re very right. 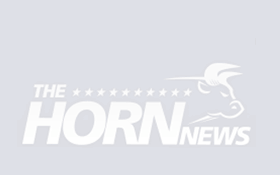 The Horn News recently revisited the horrors of radiation poisoning. (Warning: these pictures are disturbing). The world needs to know the truth about this dangerous radioactive leak and how it could effects us, our children, and our grandchildren. And we need to know about it NOW.